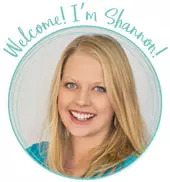 by Shannon Clark in Gift Ideas | 3 comments | Contains affiliate links. Find the best Amazon Gift Ideas Under $15 for men, women, and kids. Avoid the crowds, plus every item listed is eligible for free shipping! Note: This post will be updated throughout the 2018 Christmas season, especially Black Friday, but most of the deals are available year around! If you’re anything like me, you’ve been working on your easy DIY gifts, you’ve been making your Christmas budget and gift list, and you’ve been biding your time for the Christmas deals on Amazon. Every year, I snuggle up in my PJs and finish up my Christmas shopping on Amazon. I score the best deals of the year without fighting the crowds and get them delivered free to my door 2 days later. Then I finish up and go back to visiting with family and playing with the kids without ever having stepped outside the house. It’s my frugal little tradition that I’ve finely tuned over the years. Today I’m sharing a list of my top picks for Amazon gift ideas you can get for under $15! 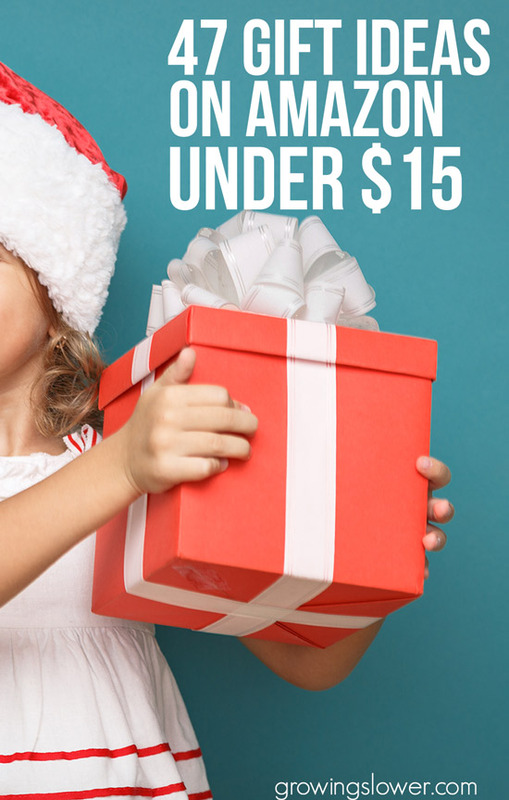 These gift ideas were under $15 at the time this post was published, and I’ve done my best to keep it updated throughout the Christmas season. However, please verify prices for yourself before you check out. Of course, Black Friday deals on Amazon is great for more than just gifts (we’ll get to all those in just a second). This is the time to grab anything you might need for your kitchen or around the house. Remember last year when I got my $10 blender? 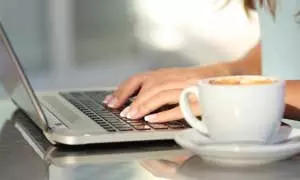 , this is the weekend frugal mamas wait for to get the very best deals of the year. Don’t forget to grab extra memory for all those pictures you’ll be taking this season like this 32 GB SD Micro card for just $12. This is the perfect time of year to take advantage of this, so you can make sure all your last-minute gifts get delivered on time with their free 2-day shipping. I have been an Amazon Prime member for years. I was on the verge of canceling it when we were working on getting out of debt until I realized how much money Amazon Prime saves me! – Get many of your favorite new movies and TV shows on DVD for under $5. I consulted my husband on this one for frugal gift ideas that guys will really like. Loving wives note: there were no sweaters or ties or argyle socks on this list. These are decidedly in the manly man category, full of tools, camping gear, and other random stuff that’s “just cool”. The gifts below are ones my husband has actually received and loved, probably mostly because he picked them out himself! If you have the same dilemma, check out the complete list of gift ideas for men my husband put together, for even more gift ideas, all available on Amazon. – This isn’t just a flashlight, it’s a camo mag-light, and it includes batteries! Fire Starter – What’s more manly than making fire? Airsoft Pistol – Ah boys and their toys! LED Lantern – This one is collapsible, water resistant, and not only great for camping, but also for emergencies. Books make great frugal gifts, and on Black Friday they’re even more affordable! Here are some of my favorite gifts for women under $15. Adult Coloring Books and Colored Pencils – Coloring isn’t just for kids anymore! It’s a great way to relieve stress, and I don’t know a woman who couldn’t use a little stress relief! Prismacolor Pencils are the gold standard, and they’re only $12.99 today. Phone Case or Wallet – A cute cell phone case or wallet will add cheer to any woman’s day, and maybe even help her stay organized too. There are so many adorable designs. Just make sure to check which phone model she has first! 50 Women Every Christian Should Know – A fantastic book full of inspiring stories about Christian women throughout history. Daily Planner – With the new year starting soon, and women with so much on their plates, a beautifully designed daily planner is a great gift. Be sure to add a sweet family picture or a printed verse before wrapping it up! – My son loves his pancakes to be shaped like teddy bears and bunny rabbits! Unfortunately, my pancake art is rather sub-par using just a measuring cup. I think this pancake pen is just what we need! This is one of my kids’ all-time favorite toys. It has really stood the test of time as they’ve grown. Games – I love how so many of the classic board games are popular, and under $15, this year. LEGO – Always another favorite, LEGO tends to be expensive, but there are even some nice sets under $15 this time of year! K’NEX Supersonic Swirl Building Set – If you’re kids love LEGO, they’ll probably also love this motorized K’NEX building set. Very fun! Puzzles – The Children of the World floor puzzle is one of our favorites! So beautiful! Spirograph Design Tin Set – Remember these!? How the Grinch Stole Christmas – Books are a perfect frugal gift for any age, and this is the perfect time of year to share some of your favorites with the little ones in your life. I love all Dr. Seuss books, especially the Grinch story. This one’s going in my shopping cart right now. Laugh Out Loud Jokes for Kids – My son is at the age where he loves to entertain us with jokes. Of course, he’s always the one laughing the hardest! This one will definitely be going under our tree this year! Jesus Storybook Bible – This is the best storybook Bible for kids out there! I can say from experience that Mom will be touched by the story and beautiful pictures as much as the kids. Still need more ideas? Check out all of my 274+ frugal gift ideas for the whole family. Whether you’re shopping for men, women, or the kids on your list, you can find something they’ll love and stay on budget! What are your favorite frugal Amazon gift ideas this year? As you mentioned in this article, an easy gift idea for men is any multi-purpose tool. They can range from about $10 to $100+, but will be easy gift ideas. Amazon has 25% off a book using 25OFFBOOK until the early hours of December 14 (depending upon your time zone).